TS-304 is a premium, multiviscosity 20/40 machine oil with MoS2. [NOTE: NOT A MOTOR OIL.] This is a mineral oil product for general plant oiling, all metal-working machines, enclosed chain drives, oil lubricated bearings, sliding surfaces and ways, automatic lubrication systems, high-speed reduction gears (enclosed), etc. 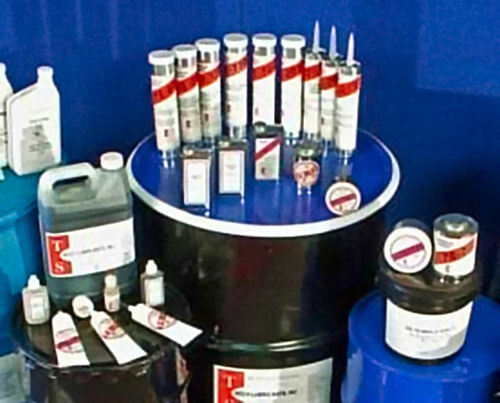 TS-304 is made from the finest solvent-refined mineral oils with an extremely high viscosity index to assure stability under varying temperatures or pressures. It contains a stable dispersion of self-lubricating metallic solids in a special blend to improve bearing (wearing) surfaces with an exceptional reduction of galling, freezing, rust and corrosion at extreme pressures or in unusual operating conditions. Because of the unique homogenizing process, TS-304 assures long continuous operating time with reduced friction and frictional wear.